In 2008 we published our popular 40 Butterfly Walks in Gloucestershire booklet. Over the years a few of the walks have become unsuitable or unavailable while new walks have been suggested. 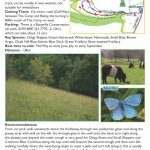 A new version of the booklet has now been printed with some of the old walks removed, others revised where necessary and some new walks added. 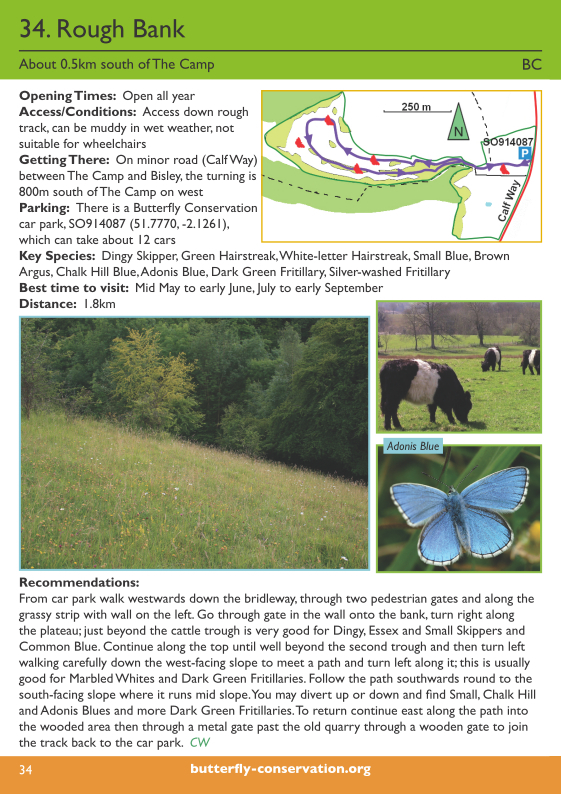 As well as the walks we have added a list of other good butterfly sites in the county and a guide to the flight times of our butterflies to help you decide which walk to do when. Since 2008 Butterfly Conservation has bought and opened Rough Bank. 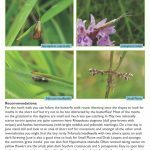 This is a magnificent site for butterflies and moths as well as a wide range of other flora and fauna. 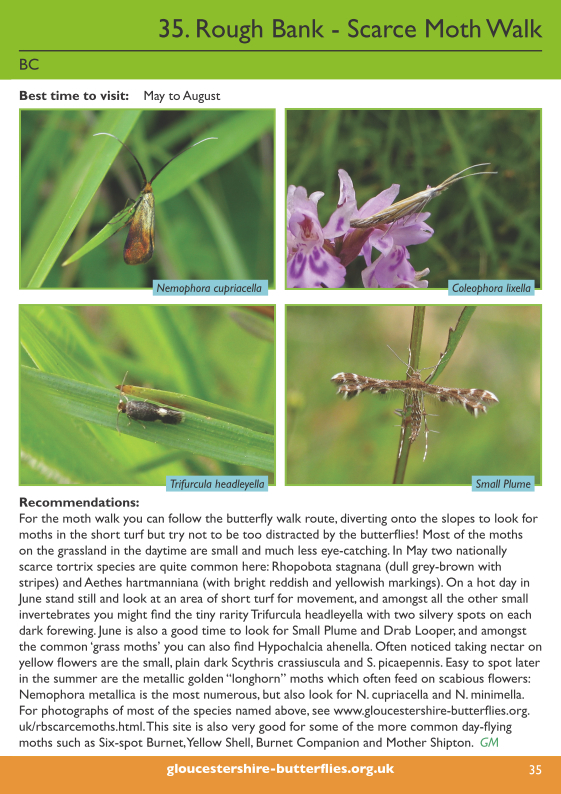 We have two Rough Bank walks in the booklet – one for butterflies and one for scarce moths. These walks are shown below, click to see them full size. by post from the branch treasurer: Mrs Serena Meredith, 23 Highland Road, Cheltenham GL53 9LU. Price: £6 + £2 postage. 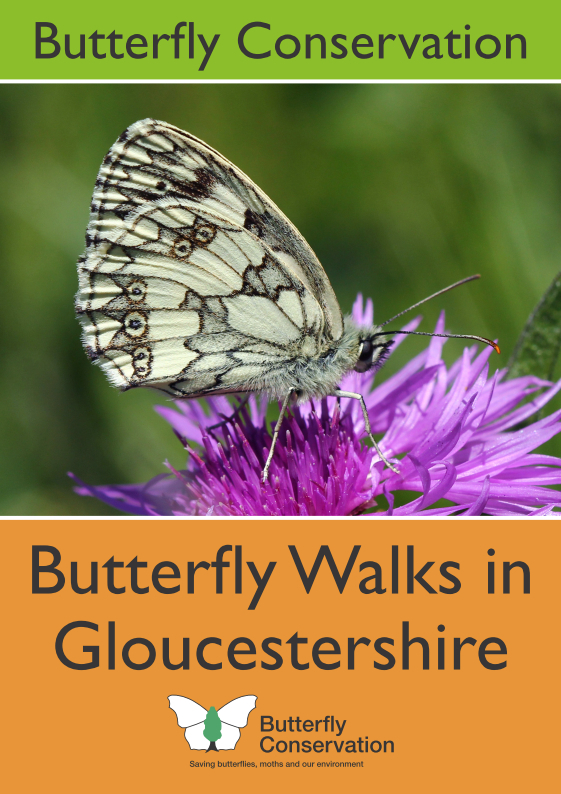 Please make cheques payable to “Butterfly Conservation Gloucestershire Branch”. from some local outlets including: Nature in Art, Twigworth; Courtyard Books, Bishop’s Cleeve; The Suffolk Anthology, Cheltenham; Alison’s Bookshop, Tewkesbury; Cotswold Farm Park, Guiting Power; The Greenshop, Bisley; Stroud Tourist Information Centre and Stroud Valleys Project. Please note prices may vary. Booksellers. To buy in bulk either write to Serena at the address above or contact her directly via our Committee & Contacts page.